The Naples and Southwest Florida area – including Bonita Springs, Estero and Fort Myers – is often called the golf capital of the world. Naturally, there are many real estate options for living on or adjacent to a golf course. 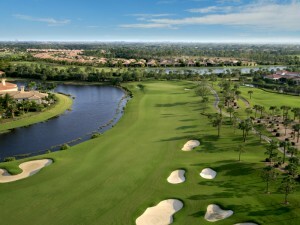 Whether you are looking for a bundled golf community (where golf is included in the purchase of a home, such as Bonita National, Pelican Sound Golf & River Club, Copperleaf and Spring Run at The Brooks), or an equity golf community (such as Grandezza, Mediterra, Miromar Lakes, Talis Park, or The Colony Golf & Bay Club at Pelican Landing), the many developments include single family and estate homes, condos, coach and carriage homes and villas.